Supreme Court will reportedly hear on Monday BJP leader Subramanian Swamy’s plea, praying for quashing of six criminal defamation complaints lodged against him. The complaints were lodged for allegedly making critical comments against Tamil Nadu Chief Minister J. Jayalalithaa on Twitter. In October last year, a Supreme Court bench headed by Justice Deepak Misra had stayed the proceedings against him. Appearing in person, Subramaniam Swamy submitted to the Court that S. 499 and Section 500 of the Indian Penal Code, 1960 are unreasonable restrictions on the right to freedom of speech and expression, which is enshrined in the Art. 19(1) (a) of the Indian Constitution. Mr. Swamy in his petition has also challenged the vires of Section 199 (2) of Cr.P.C. You may read the LiveLaw story here. 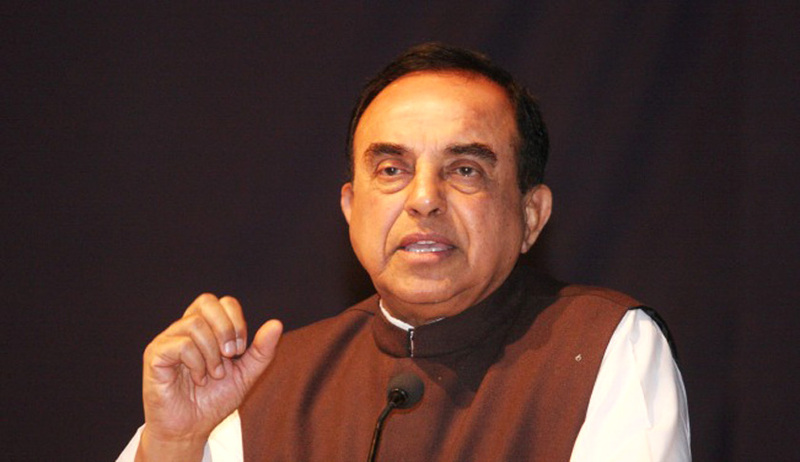 Defamation laws have been under the scanner of the Apex Court, after it issued notices to the Centre in a batch of PILs including the one filed by Subramanian Swamy to de-criminalize the Defamation [S.499/500 of Indian Penal code. The Petitioners gave emphasis on the phrase “defamation or incitement to an offence”. To buttress the stand that the word ‘defamation’ being there in the Article itself and that being there in Section 499 of the Indian Penal Code which defines ‘defamation’ and also provides enormous safeguards by way of number of exceptions, there can be violation of Article 19(2) of the Constitution. You may read the LiveLaw story here.